Looking for a romantic night out? How about an Italian themed romantic getaway date? First try the Milano Inn downtown in Indianapolis. This fine Italian restaurant serves great traditional Italian food to satisfy your taste buds. Choose from there wide selection of wines to help set the mood for the night! The Milano Inn, an intimate, close feel while enjoying the finest Italian food in Indy. Next, spend some time on the canal. Enjoy a romantic gondola ride. Sit back and relax while a gondolier sings romantic Italian songs and steers you around the canal. 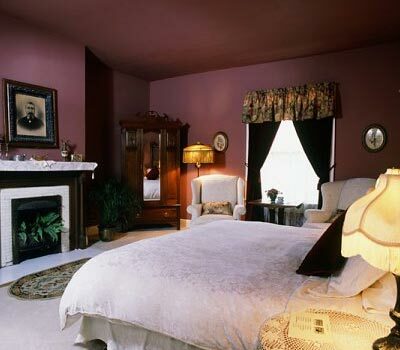 End your romantic evening in the Rose Room at the Stone Soup Inn. This room has just the romantic feel. The room décor and Jacuzzi help top off an evening you won’t forget! Looking for a romantic night out with your loved one? 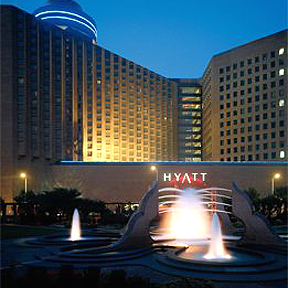 Try the Eagles Nest located at the Hyatt in downtown Indy. 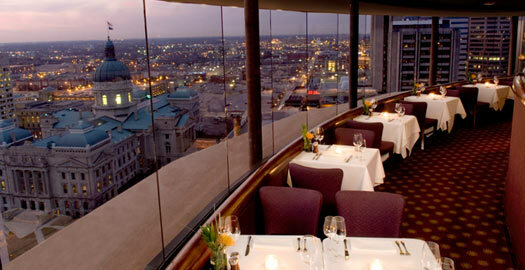 The Eagles Nest revolves 360 degrees so you have the perfect view of downtown Indianapolis. This fine dining restaurant is just what you need for a night out. They were also voted most romantic restaurant in the city of Indianapolis. Next time you are looking for a great place to eat with that romantic vibe, be sure to check out Eagles Nest!